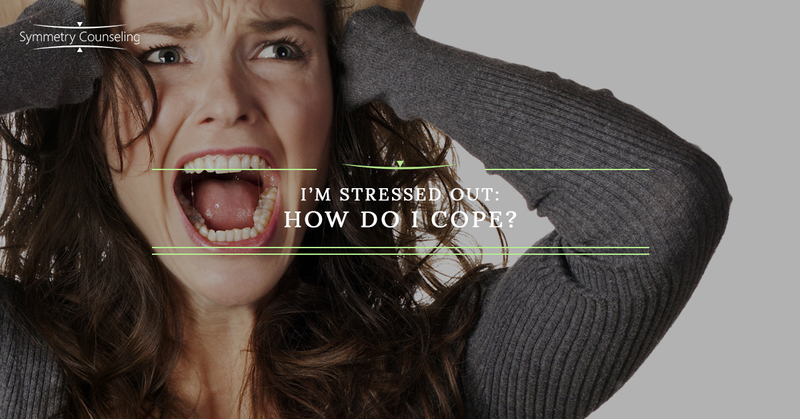 I’m Stressed Out: How Do I Cope? While stress is a normal aspect of life, the symptoms of stress can feel unbearable or intolerable. The numerous sleepless nights, racing thoughts, irritability, excessive worry, rapid heart rate, muscle tension, and the inability to concentrate are just a few of the many symptoms of stress that can interfere with your life. While some people can cope well with stress, others need a little more guidance. If you are living with high levels of stress on a regular basis and are not learning new ways to cope, stress can begin to take a toll on your mental and physical health. By understanding what causes you stress and utilizing healthy coping strategies you will live a life filled with more happiness and less worry. Below are some things you can do to help you cope with the stress you may be experiencing on a daily basis. Everyone has their specific triggers that causes them to feel stressed. What is stressful to one person may not be stressful to you. What is stressful for you? Does a certain project at work stress you out? Is it your duties at home? Is it the traffic on your way home from work? Identifying your triggers helps you better understand what makes you feel stressed so you are more prepared and can better tackle that particular stressor. Relaxation techniques are helpful in reducing the majority of those physical symptoms of stress you may be feeling such as an increased heart rate, muscle tension, and difficulty breathing. Some common relaxation techniques include deep breathing exercises (4-7-8 technique: Breathe in your nose for 4 seconds, hold it for 7 seconds, and exhale out of your mouth for 8 seconds), mindfulness techniques (Giving attention to the present sights, sounds, tastes, etc. ), and muscle relaxation techniques (Tensing and relaxing each part of your body individually). When you engage in relaxation techniques your body becomes calm and centered rather than activated. No matter how busy or crazy life seems to get, it is important that you are still prioritizing your own self-care. Whether it is going to the gym, making a healthy dinner, getting adequate sleep, reading, drawing, journaling, or going to dinner with friends, make sure you are making time for it. Your mental and physical health are extremely important, especially if you are experiencing high stress in your life. Make yourself a priority! You may feel like you have tried everything and you are still feeling overwhelmed by all the stress in your life. While it can be difficult to be vulnerable and open up to others, confiding in close family, friends, or a therapist can help reduce the effects of stress. Everyone has experienced stress in their life so try and talk it out with someone rather than keeping it all bottled up inside. They may help you feel validated and give you support as you make some of these changes to your lifestyle. They are there to help you when you need it! If you are currently struggling with symptoms associated with stress and would like some support, it may be useful to connect with a therapist. Contact Symmetry Counseling at 312-578-9990 to set up an appointment with one of our very skilled therapists today!